Uganda is set to welcome an investment of US$ 287m in form of a car park building in its capital, Kampala. The building will be located on the Colville street and will mark the first of its kind in the Uganda capital. This construction project is intended to help in decongestion of the central business district according to Kampala Capital City Authority (KCCA) Deputy Public Relations Officer, Mr. Robert Kalumba. The car park building project will be an investment by Mercantile Properties. The car park is going to be 10 storey building. Of the 800,000 vehicles in Uganda and approximately half of them are found in the capital city; the number goes up by about 10 per cent yearly yet the road infrastructures is not able to support that, according to a previous research done by the Uganda Revenue Authority. Uganda has, however, a number of projects that could see the roads in capital city improved, including the Kampala-Jinja road, a 77.1 km long gateway set to open the capital to imports and exports. 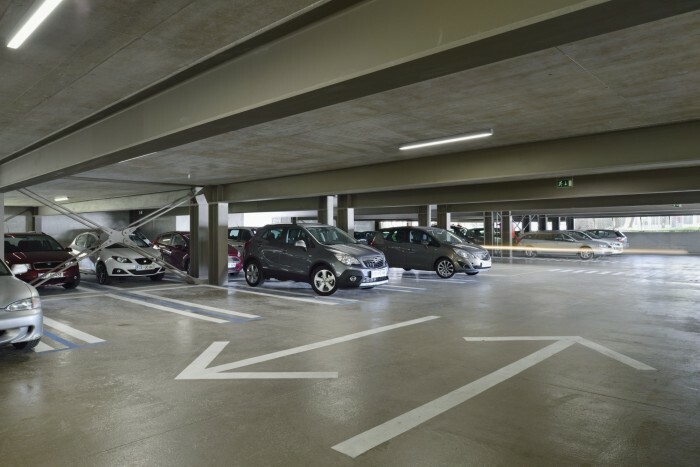 The car park building project will see an average of 800,000 car parking spaces constructed and would be a relieve since many park along the already congested roads in the city.